Ever since destroying his body in the name of filmmaking for 'Super Size Me', Morgan Spurlock has become synonymous with tackling topically ethical subjects in a very personal way. His latest, officially titled ‘POM Wonderful Presents: The Greatest Movie Ever Sold’, sees him exploring the world of product placement, while getting branded sponsors to pay for the film itself. Spurlock chatted to Dazed about losing creative control, selling out and never walking into a McDonald’s again. DD: How much has your opinion on product placement changed? Morgan Spurlock: I think there are too many people letting these companies have power and dictate dialogue, manipulate the message. You should let creative people be creative, let filmmakers be filmmakers. Over the years big movies got more and more expensive so studios starting working with co-promotion, co-branding, to alleviate those costs. The stigma of putting your music in commercials is gone. Ever since The Rolling Stones got paid $10 million to put ‘Start Me Up’ in a Windows commercial everything changed. There are still plenty of artists who won’t do it; Tom Waits, Bruce Springsteen, Radiohead, but for other artists, we live in a time where you can’t make money off albums anymore, so they’re finding other ways. DD: How was it going to Sao Paulo, where advertising is banned? Morgan Spurlock: Amazing, and not one person we interviewed on the street had a negative thing to say about it, in fact the only people who don’t like it are the billboard companies. Companies’ profits are up mainly because they’re not spending money on advertising. And crime went down in the city, is that just a coincidence? I don’t think so, I feel like there’s something to that idea of calming the world around you that does have that affect. DD: What’s the one thing you’d like this movie to change? 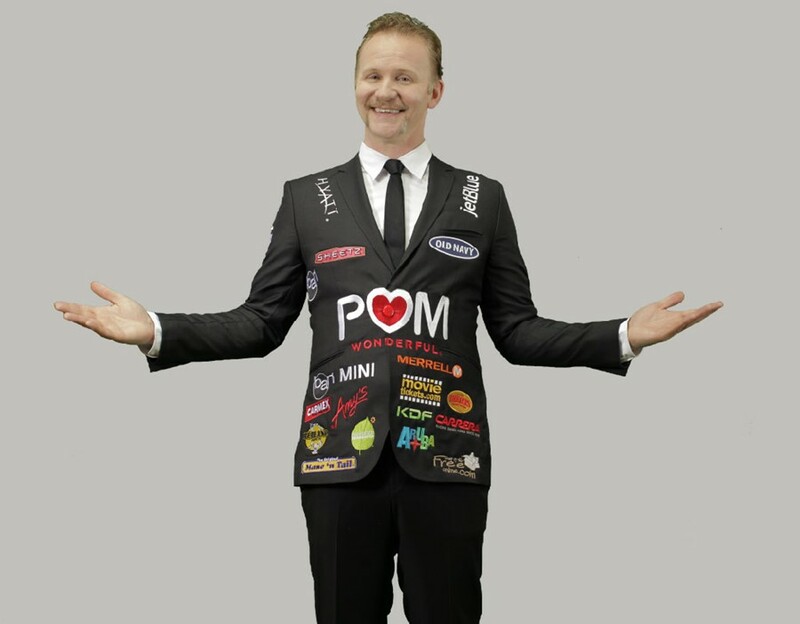 Morgan Spurlock: I hope that someone will agree we have to get every bit of advertising out of schools. We’re taking away the ability to have critical thought outside of corporate influence. There has to be a place where we teach kids how to think, not what to think. DD: Can you even look at a McDonald’s now? Morgan Spurlock: When I was growing up the only time we went there was when my mom was either sick or pissed off, it was never something we relied on. I haven’t walked into a McDonald’s since the last meal in the movie: March 2nd, 2003.